Are free online video games for kids acceptable? We are in the age where 3rd graders have cell phones and preschoolers know how to use a computer as well as their parents. Yes, technology has now become more accessible to children in an alarmingly short time period from when computers just began to become household possessions. Children are spending more time playing free online video games for kids and using the internet to entertain themselves, while also exposing themselves to risks that parents didn’t have to deal with just a little over a decade ago. The internet is useful with a lot of fun, entertaining resources, but it also contains many threats to your computer and your child. There are a number of viruses hidden behind fake ads and links for free online video games for kids. Also lurking around the worldwide web are numbers of inappropriate sites, content, and users using foul, inappropriate language. It is imperative that you supervise your children when they use the internet and take advantage of parental controls. What entices kids to the internet? Well, what entices many of us adults: games. Whether it is during work, class, or in our idle moments of boredom, many of us look to computer games to relieve that boredom. So it is no wonder that children—who have even less of an attention span and patience than an adult – jump to the internet looking for a fun game to play to pass the time. While in my opinion it is much healthier for children to play outside or in the house with other children rather than going on a computer, a little fun with technology never hurt anyone (especially for those like me growing up with two decades full of video game console revolution). 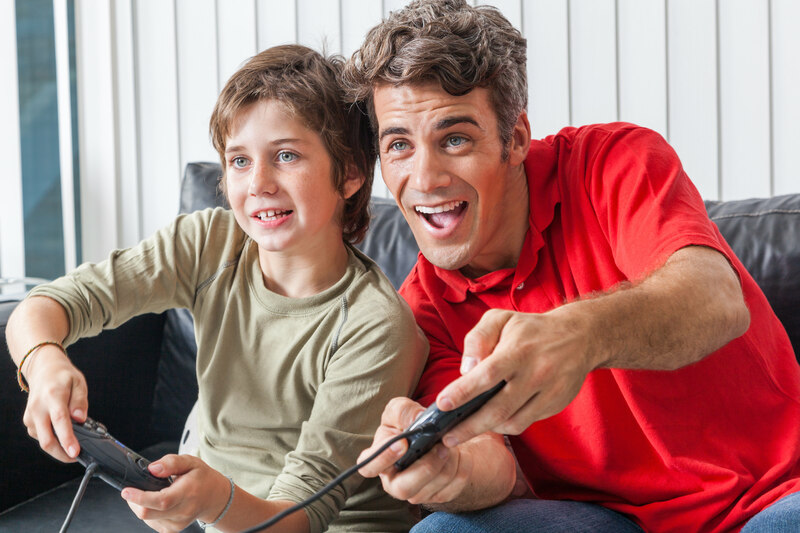 To make sure your kid is having good, clean fun on the internet, you should navigate around the web first and find free online video games for kids. There are various company websites, such as Disney, Neopets, Cartoon Network, etc. that have hefty databases of free online video games for kids. Even the social networking site, Facebook, is popular for its many free games, including Farmville. However, going on each of these sites does have its own risks, so make sure you have a strong firewall and antivirus installed in your computer. Remember your child must be at least 13 years of age to register with Facebook. Play with your kids! Playing video games with them is a great way to bond and have fun. Your child will also have fewer reservations about you supervising them while they are using the internet. It’s win-win for everyone, and who knows? You might even have more fun than your child.